“Not much,” she said. She sounded utterly hopeless. They were giving her blood transfusions, pain medications and steroids for the fevers caused by her tumor. They’d stopped giving her chemotherapy. This is the moment we continue to debate in our country. What is it we think should happen now? Her condition was incurable by established means. So should she press the doctors for other treatments, experimental therapies, anything with even a remote chance of keeping her going, no matter what? Or should she “give up”? Neither seemed right. But for more than a decade in medical practice, I had not really understood what other choices might exist. I wasn’t effective in these situations. And it bothered me — as a surgeon caring for patients with problems I often could not fix and then as a son with a father in his 70s experiencing mounting difficulties in his life. So for three years, I researched a book on what has gone wrong with the way we manage mortality and how we could do better. I spoke with more than 200 people about their experiences with aging or serious illness, or dealing with a family member’s — many of them my own patients, some in my own family. I interviewed and shadowed front-line staff members in old age homes, palliative- care specialists, hospice workers, geriatricians, nursing home reformers, pioneers, and contrarians. And among the many things I learned, here are the two most fundamental. Not everyone will feel ready to discuss such subjects, to be sure. But I decided to try the questions with Peg. I asked her what her understanding of her condition was. She said flat out that she knew she was going to die. There’s nothing more they can do, she said, an edge of anger in her voice. I asked what her goals were. She didn’t have any that she could see were possible. Then I asked what her fears for the future were, and she named a litany: facing more pain, suffering the humiliation of losing more of her bodily control, being unable to leave the hospital. She choked up as she spoke. She’d been there for days just getting worse, and she feared she didn’t have many more. They’d talked to her about stopping life-prolonging therapy and going on hospice, but she didn’t see how that could help her. Someone in her position who was offered “death with dignity” — assisted death — might have taken it as the only chance for control in the absence of other options. But hearing her fears, I suggested that Peg try hospice. It’d at least let her get home, I said, and might help her more than she knew. 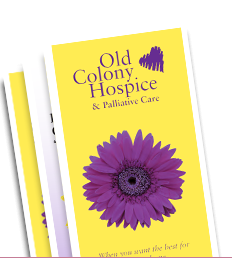 Hospice’s aim, at least in theory, I explained, is to give people their best possible day, however they might define it under the circumstances. It seemed as if it had been a while since she’d had a good day. “Yes, it has — a long while,” she said. That seemed worth hoping for, I said. Just one good day. With her husband’s encouragement, she went home on hospice less than 48 hours later. We broke the news to Hunter, then just 13 years old, that Peg could not teach her anymore, that she was dying. Hunter was struck low. She asked if she could see Peg one more time. We didn’t think so, we said. A few days later, however, we got a surprising call from Peg. She wanted to resume teaching. She’d understand if Hunter didn’t want to come. She didn’t know how many more lessons she could manage, but she wanted to try. That hospice could make teaching possible for her again was more than I’d imagined. But when her hospice nurse arrived, she asked Peg what she cared most about in her life, what having the best day possible meant to her. Then they worked together to make it happen. Her first goal was just managing her daily difficulties. The hospice team put a hospital bed on the first floor so she wouldn’t have to navigate the stairs, organized a plan for bathing and dressing, adjusted her pain medications until they were right. Her anxieties plummeted as the challenges came under control. She raised her sights. It took planning and great expertise to make each lesson possible. The nurse helped her learn how to calibrate her medications. “Before she would teach, she would take some additional morphine. The trick was to give her enough to be comfortable to teach and not so much that she would be groggy,” Martin recalled. Medicine has forgotten how vital such matters are to people as they approach life’s end. People want to share memories, pass on wisdoms and keepsakes, connect with loved ones, and to make some last contributions to the world. These moments are among life’s most important, for both the dying and those left behind. And the way we in medicine deny people these moments, out of obtuseness and neglect, should be cause for our unending shame. Peg, however, got to fulfill her final role. She lived six weeks after going on hospice. Hunter had lessons for four of those weeks, and two final concerts were played. One featured Peg’s current students, all younger children; the other, her former students from around the country. Gathered in her living room, they played Brahms, Chopin and Beethoven for their adored teacher. A week later, she fell into delirium and, a short time after that, died peacefully in her bed. My final remembrance of Peg is from the end of her last recital with the children. She’d taken each student away from the crowd to give a personal gift and say a few words. When it was Hunter’s turn, Peg gave her a book of music. Then she put her arm around her. “You’re special,” she whispered to her. It was something she never wanted her students to forget. A surgeon at Brigham and Women’s Hospital, a professor at Harvard, and a staff writer for The New Yorker. His newest book is “Being Mortal: Medicine and What Matters in the End,” from which this essay is adapted.